Two Rock Valley Presbyterian Church is located west of Petaluma, at the intersection of beautiful country roads that connect the inland to the coast. Our congregation has a long history: it was chartered in 1860 and has existed on this site ever since! 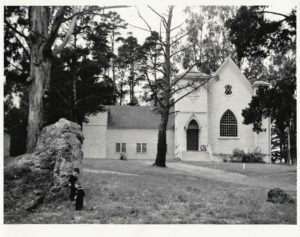 In 1865 this congregation helped found Tomales Presbyterian Church. Three church buildings have stood here over the years: the first was dedicated in March 1863. 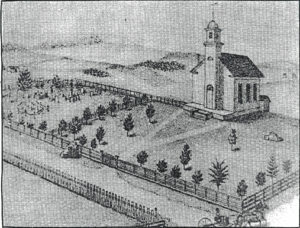 After it burned down in 1895, a new sanctuary was erected in 1896. Following another fire, the present church was built in 1953, with the later additions of a Fireside Room and Sunday School rooms. The first burial in our historic cemetery was recorded in 1861 and our cemetery has been an integral part of the Two Rock Valley ever since. Many of the persons buried in the cemetery are recognized as old time Two Rock Valley residents. There may also be some Chinese people buried outside the west cemetery fence line. These people were probably employed by local farmers and may not have had family locally to provide for traditional burial. There were, and still are, a number of plots identified by wooden grave markers. Persons buried in these plots are not identifiable mainly due to the destruction of the cemetery records in the 1949 fire. 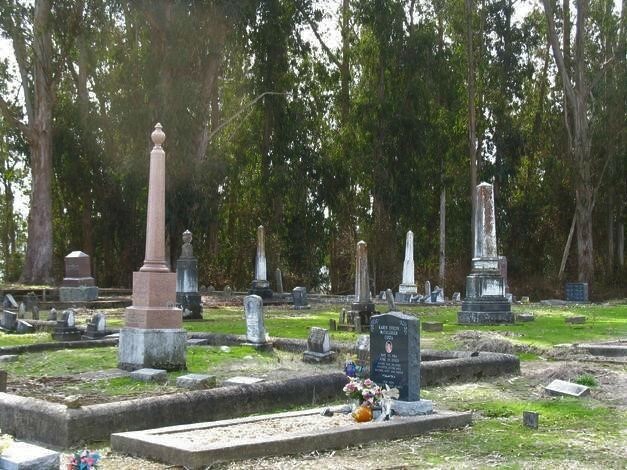 In 1992 a detailed plot map was prepared that list the names of persons buried in the cemetery.